Are you wondering how to get PR for Australia from India? Are you inspired by the idea of migrating to Australia? Do you want a comprehensive insight on how to get Australia PR from India? Getting an Australia PR is more-or-less a straightforward process. It is one of the closest equivalents to the US Green Card. By definition, permanent residents are people who have the rights to live in Australia indefinitely. They can enjoy the right to live, work and study without having the nation’s official citizenship. However, you should go through a strategic process, if you wish to qualify for the Australia PR. Under subcategory 885 you can opt for a skilled independent residence visa. This is meant for overseas students who wish to study and employee in Australia permanently. Under subcategory 886 you can go for a skilled sponsored residence visa. This is for graduates with the temporary visa. However, these applicants should have a sponsor back home! Under subcategory 175 you can choose skilled independent Migrant visa. This is for aspirants who don’t fall within predestined levels of expertise. Nonetheless, these candidates should get some points in tests like IELTS! Under subcategory 176 you can opt for the skilled sponsored migrant visa. This category is meant for people without poor scores and the desire to get an Australia PR. 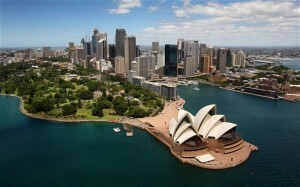 There are several other routes to get PR for Australia from India. This includes the Employer Nomination Scheme that is found in companies with a branch in Australia. However, the nominations are meant for employees who are prepared to take up a permanent job opening. Some applicants apply for Australia PR with business development in mind. These are high-level individuals who have valid permits to visit and stay in the country. Unfortunately, very few people are allowed to use this facility. As a Student or Employer how many years he can be able to get work permit on Permanent Resident to Australia.